The USCIS started accepting applications for "Deferred Action for Childhood Arrivals" on Wednesday, August 15, 2012. On June 15, 2012, DHS announced that certain young people who entered the U.S. before age 16 will no longer be removed from the United States. Qualifying individuals will be granted "deferred action" and be eligible for a work permit. Deferred action is not a new law but is a discretionary act on the part of the government. It is considered an act of prosecutorial discretion. The deferred action policy allows foreign born individuals who came to the U.S. as children to apply for a work permit and possibly extensions of it. A work permit is necessary to be able to obtain a social security number and be able to work. Deferred action does not lead to a green card or citizenship and is subject to change by the government. On November 20, 2014, President Obama announced a series of executive actions that would bring changes to the current DACA program. The new eligibility requirement will expand number of DACA applicants as the age cap, which was previously set as age 31 as of June 15, 2012, was removed. The newly expanded DACA program will also extend the period for deferred action and work authorization from two years to three years. Unfortunately, USCIS has not implemented the aforementioned initiatives yet (as of January 2015). Announcement will be made by USCIS once they are implemented (USCIS announced the date to be February 18th 2015) and applicants will be able to file their applications. The deferred action offer will be available to those in proceedings, as well as those who apply affirmatively. Individuals who face imminent removal from the United States and who believe they can demonstrate that they satisfy the eligibility criteria should immediately contact our office for assistance if you require an attorney. Requests for deferred action will be reviewed on a case-by-case basis, and not every young immigrant will qualify. Individuals who are found to be ineligible due to criminal history or because they represent a danger to the community may be subject to removal or other immigration enforcement action. DHS considers many misdemeanor offenses to be "significant misdemeanors," including those for which the individual received no jail time. If you have ever been arrested by the police, talk to a qualified immigration attorney before applying for deferred action. 3) School records, including diplomas, GED certificates, report cards, school transcripts and other evidence of enrollment, or documentation as an honorably discharged veteran of the U.S. Armed Forces or Coast Guard. If your two years initial-grant of DACA is expiring, you may request a renewal of your DACA. You are not disqualified for reasons relating to crimes, public safety or national security. If you satisfy all three criteria mentioned above, you are eligible to renew your DACA. Due to the processing time of USCIS, it is highly recommended that you submit your renewal application as early as 150 days before your DACA expires and no later than 120 days before your expiration date. Applicant was granted DACA by ICE. Education information is also not asked for renewal process, unlike initial application which required educational information. If required, gather additional documents for your application. Fill out Form I-821D for both renewal and initial application (If applicable). Fill out Form I-765W Worksheet with proper reason for why you are in need of employment in the U.S.
-Within 4 weeks, you should receive a receipt notice. -Soon after, you will get a biometrics appointment. You must go with the appointment notice and ID. -Several months later, you should receive a decision. You might receive (a) an approval, (b) a denial, (c) a request for evidence, or (d) a notice of intent to deny. Unless you receive an approval, you are advised to speak to a lawyer or BIA accredited representative as soon as possible. 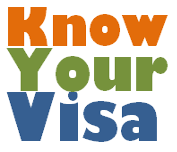 New EAD (Employment Authorization Document) card will be issued to you once your DACA renewal is approved. Your new EAD card will be used to legally work in the U.S. as well as to obtain your Social Security Card and Driver's License. The USCIS does NOT yet have application process for the new program, but it is highly recommended that you speak to an attorney now in order to be better prepared when the application process starts in May 2015. On November 20, 2014, the President announced a series of executive actions to crack down on illegal immigration at the border, prioritize deporting felons not families, and require certain undocumented immigrants to pass a criminal background check and pay taxes in order to temporarily stay in the U.S. without fear of deportation. As a part of the new executive actions, USCIS will allow parents of U.S. citizens and lawful permanent residents who have been present in the country since January 1, 2010, to request deferred action and employment authorization for three years, in a new Deferred Action for Parents of Americans and Lawful Permanent Residents program (Also known as DAPA), provided they pass required background checks. Have been present in the U.S. on November 20, 2014. It's also likely that you will need to be present in the U.S. every day from now until you apply for DAPA. Not have a lawful immigration status. To meet this requirement, (1) you must have entered the U.S. without papers, or, if you entered lawfully, your lawful immigration status must have expired; and (2) you must not have a lawful immigration status at the time you apply for DAPA. It is highly recommended that you speak to an accredited legal representative beforehand, and gather necessary documents in order to prepare and be ready when the USCIS starts to accept DAPA application in May 2015. Please click here to see the list of potential documents that you may require to submit to the USCIS for DAPA.